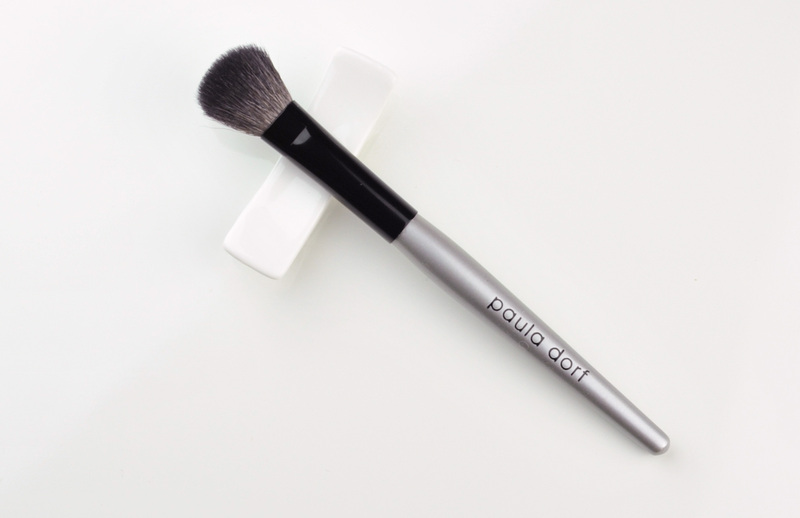 The Paula Dorf are good brushes,”good” does not say a lot about them so let’s see how they can place themselves in the market. I took the liberty of comparing these… to cars. I know, weird, but let me explain. The same way we choose a car, we face different taste and different needs. Some just want to go from point A to point B, the cheapest way possible (there is nothing bad about that!). Others don’t care about the means but want to be able to drive on any surface or under any condition, others just want the best that fits their budget. The lucky ones will have one for special occasions and another(s) for daily use. At the end, you buy a particular brand because you have connected with this brand, or because it’s just easier or cheaper. There isn’t a “better” car, there are “better cars within their own category and purpose”, just like brushes. He loves cars because of the pleasure of driving, of course he prefers “beautiful” cars but he often wants to just simply have fun and push their performance to the max, the technical features will come first. 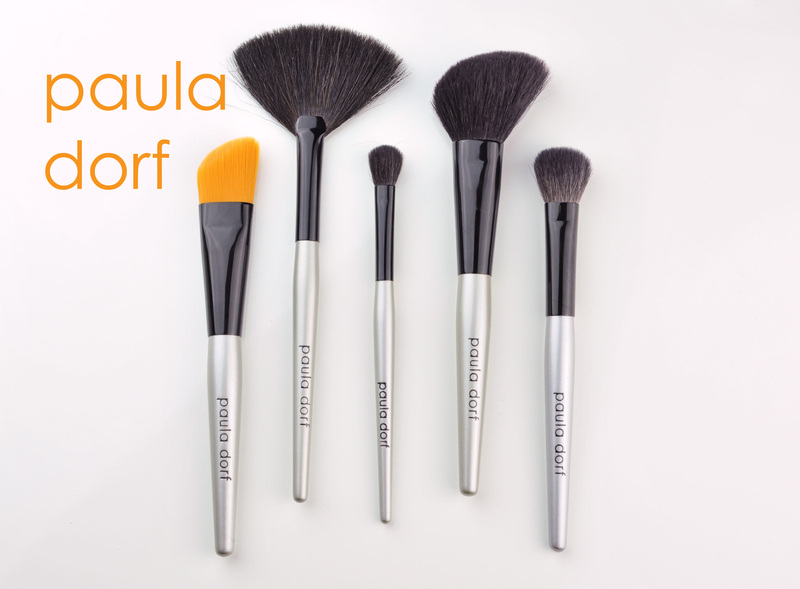 Paula Dorf has a range that covers all purposes BUT, her brushes are often sold out. I tried to contact them twice to get some info, never got a reply. What is your priority, comfort or efficiency ? Sometimes both do not pair well. Too soft may mean not efficient enough. Does size really matters ? The handles are approx 12.5 cm long, the eyeshadow brushes are a bit too light and too short but I have big hands and like to feel some more weight in a brush. Do you really need versatility or is that just a plus? 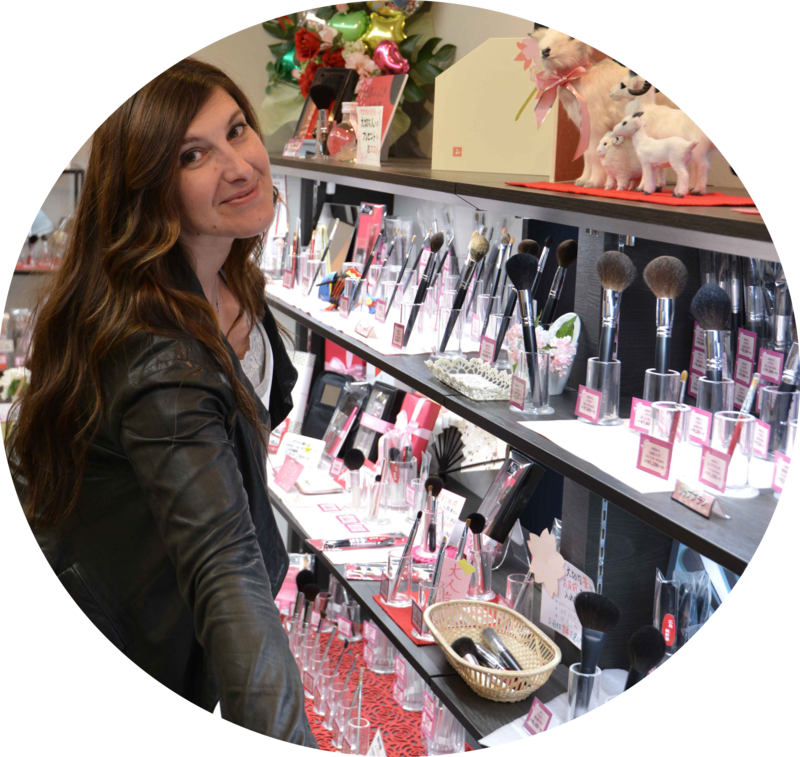 Versatility could mean compromise on a purpose that might be a key point for you or a waste of time and money trying to find the “one” brush that does it all. Nobody is good at everything. Do you have a budget to stick to? And we may prefer quality over quantity. Professional use or private use will influence what you invest in. 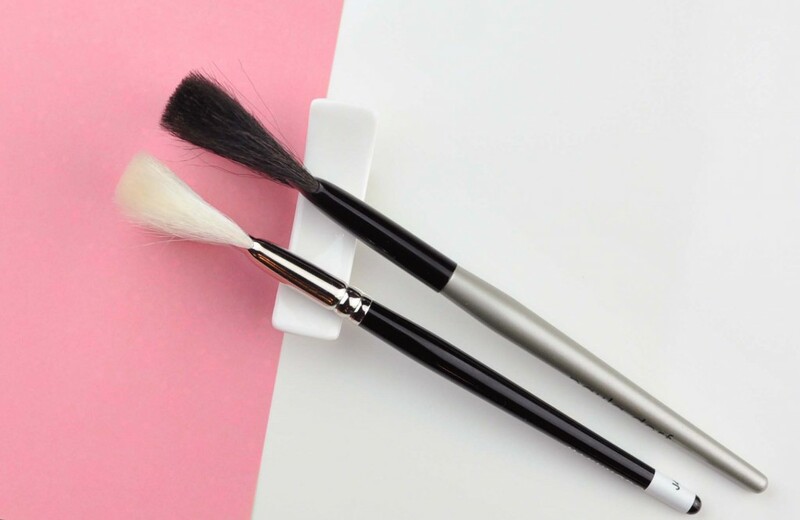 White bristles vs black bristles is also more important than we think, whiter brushes will require more frequent washes. 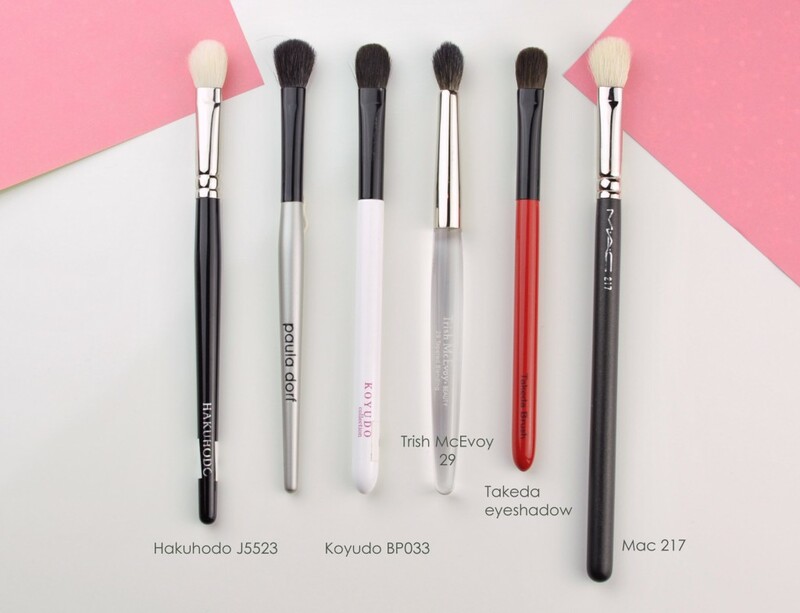 Answering these questions will help you identify if these brushes are the ones for you. Paula Dorf are good in terms of performance, the price is middle range, the quality is middle range, the comfort is middle range, the design has been thought with efficiency in mind. They make me think of Mitsubishi Evolution cars. They are driven in rallies by professionals, they perform really well, the price is in proportion with the fun they provide but they aren’t that comfortable. I feel as if the Paula Dorf are rally cars with an interior that could have been slightly improved. 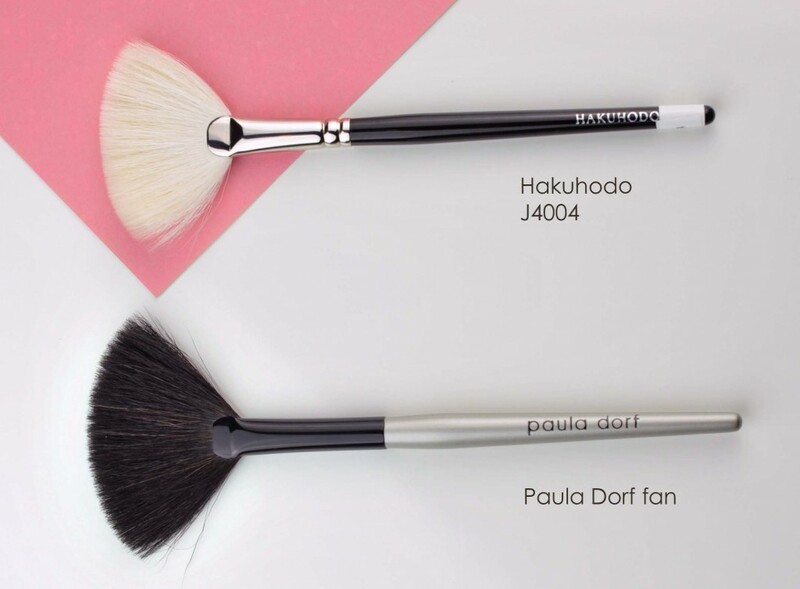 Paula Dorf brushes, overhyped ? Unfortunately I don’t know where they are manufactured and if they are hand or machine made. Overhyped… well, it depends, if you know about other brands like Hakuhodo, Chikuhodo, Koyudo, (etc..) where you can get fantastic brushes for a reasonable price (not always), you may think these Paula Dorf are overhyped, but I have to insist on something : each brand has its audience. On the back of the brushes you can read the name of each brush. There is one thing that is not often taken into consideration while designing brushes: a “wasp waist”, I find this characteristic so well thought. 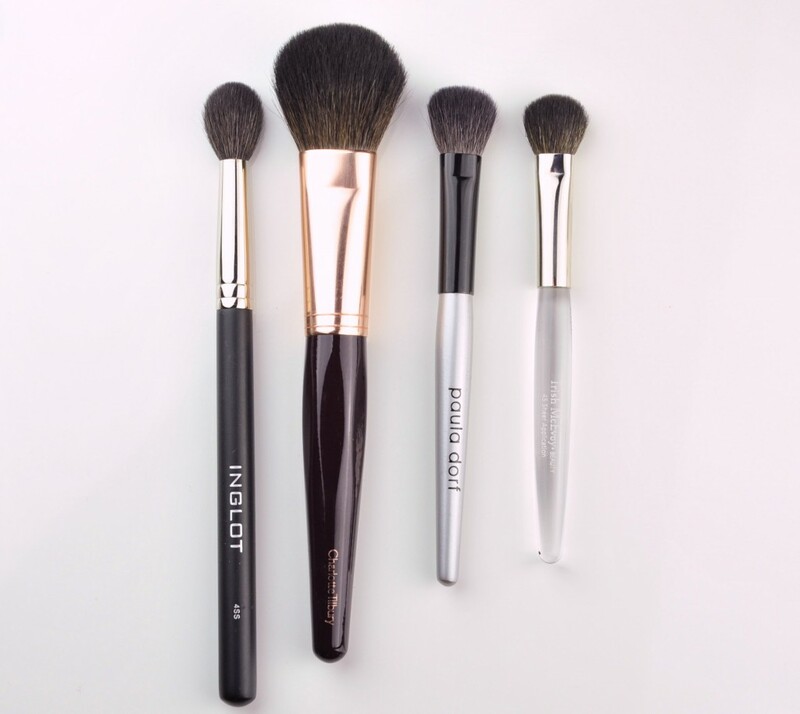 Easier to hold them when they have this shape and ergonomics are even more important for makeup artists who work with them for longer periods and at different angles. Holding a brush has not to be thought, it should feel natural and a wasp waist helps with that. The hair is known to be squirrel hair. Now, don’t expect Hakuhodo’s or Koyudo’s quality and softness. These are thicker bristles, similar to Inglot, Charlotte Tilbury or Trish McEvoy. The Inglot here is softer (didn’t try the other Inglot but this is the only one that really captured my attention), Charlotte is rougher, the Trish eyeshadow here is slightly softer but I have a face brush from Trish that isn’t as soft as the Paula Dorf cheek. It a bit like a lottery, you don’t really know what quality you are going to get, could slightly differ from brush to brush. Costs 38 usd but I paid only 15.20 usd at Beautybridge.com, on sale. I don’t think I would have bought it if it wasn’t reduced but I am very happy with it. I do not like it for cream blush but I love it for cream contour. 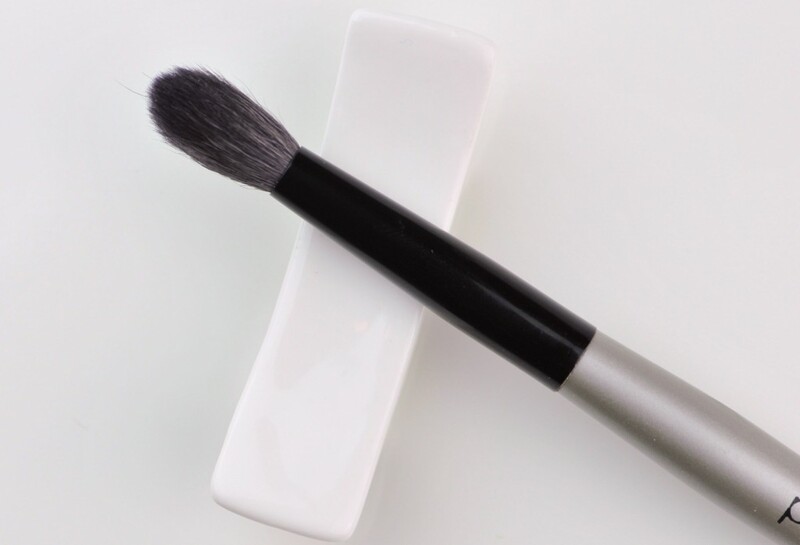 It just takes an elegant flick of the brush to place the contour exactly where you want it, then the blending is easy and directional, which allows corrections. At this price it was a steal, great hit for contour. These synthetic bristles are soft, they have more flexibility than the Hakuhodo J4005 but the Hakuhodo “synthetic sensation” is more pleasant on my skin. 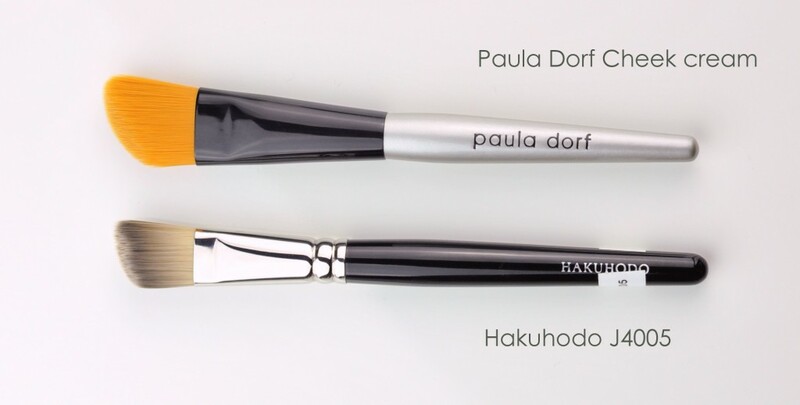 Some of you don’t like the feeling of synthetic bristles rubbing the skin, the Paula Dorf here has some kind of “noise” that does not really bother me but you kind of feel the friction and you don’t feel that with the Hakuhodo. Not really a bad thing for the brush, just a personal thought. In comparison the Make Up for ever (the new synthetic range), the Mufe cheek brush feels quite awful after the first use, the bristles stick together and it requires a wash after each use, this Paula Dorf doesn’t have the same issue = more uses without washing it every day, kinda disgusting but feasible. I really truly enjoy it for contour, I am using it every day with the Tom Ford Shade and Illuminate but I could use any other cream contour, it works just as well. 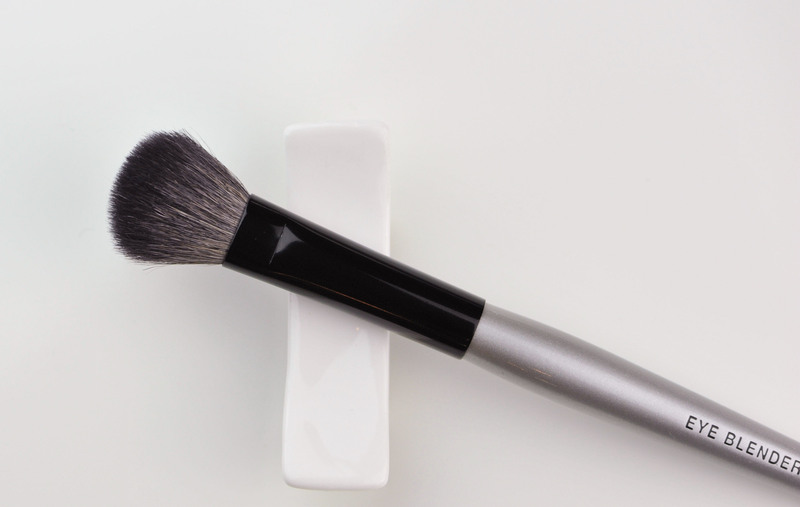 One flick-swatch of the product with the angled side surface of the brush is enough for one cheek, then you switch to the other side of the brush for the other cheek, once both sides placed, blend with whatever is left on brush (hopefully near to nothing). Final verdict: It will rock sculpting. It’s nice and heavy, it feels balanced although I prefer thinner and slightly longer handles. Blush application was a mess until I found a way, using very fast, light and short strokes but still, not loving it for blush. Costs 32 usd, it’s not cheap. “Bronzing” I don’t know… highlighter : yes why not. It really depends on your technique. I will only use it for a little bit of shimmer along the cheeks, other than that, maybe to remove fall out but the problem is that it’s a bit too floppy. In my opinion 32 usd is a lot for it. It’s a nice fan compared to many I saw on the market but still, I prefer very dense fans. The Hakuhodo is a bit denser and a bit more firm. Sculpting with it would not be an option, not enough precision and firmness. Verdict: yes with shimmer or to clean out fallout. “Bronzing” is not my cup of tea with this. Costs 45 usd. Not cheap but I would pay that price for it again. Absolutely love the shape and how it fits the cheekbones. Very flawless application, super efficient and pleasant to use. 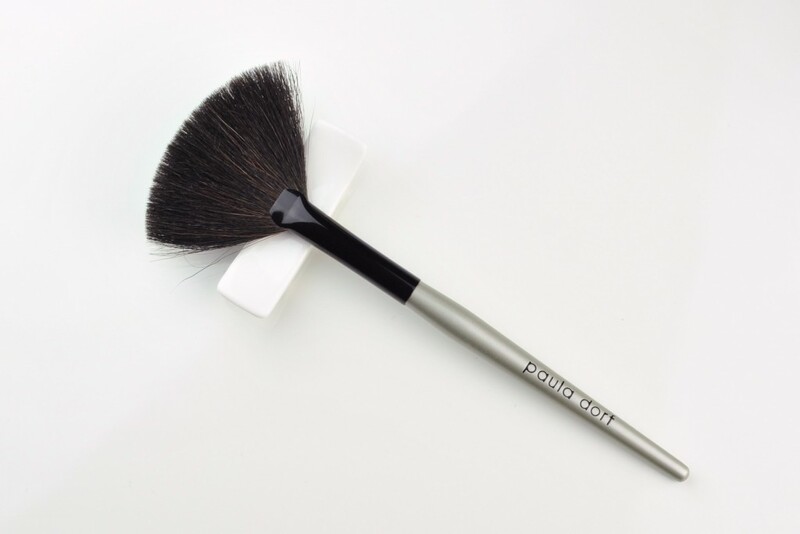 The bristles of this brush are softer than the eyeshadow brushes, it’s the same squirrel hair than the eyeshadow brushes but with enhanced quality, still not the finest squirrel hair but on the other hand it has more blending power and increased resilience. Please excuse the Dior blush there, just helping me with the holding…. I have a thing for slanted brushes with a “body”. If they are thicker they will be fantastic for blush, if they are thinner like the Chikuhodo Special G-2, it’s more appropriate for sculpting. The Koyudo BP026 is goat hair but feels softer than this Paula Dorf. The Hakuhodo is a mix of squirrel and goat, so it’s even softer. 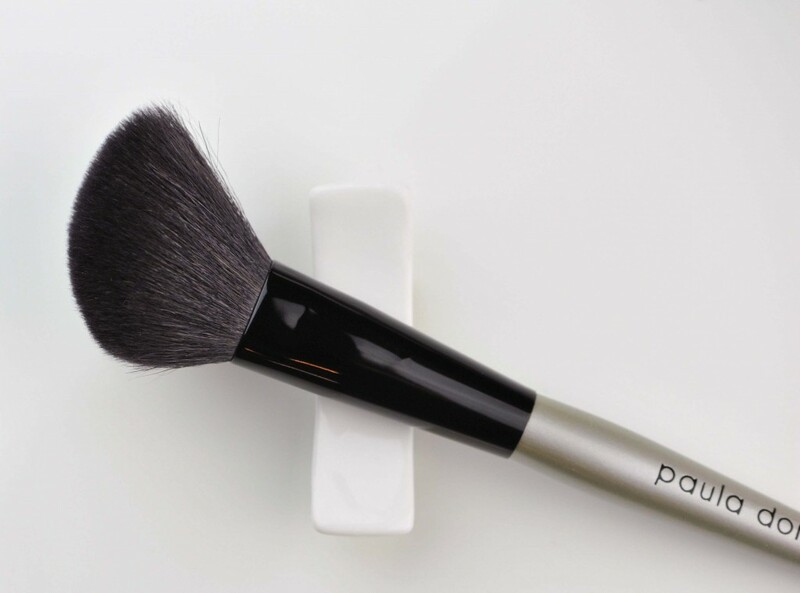 The Chikuhodo has similar softness than the Paula Dorf but it’s firmer. Even though these are all different materials, it’s not because it’s 100% squirrel that it’s softer on the skin. The shape of the Paula Dorf Cheek brush is spot on, fantastic balance between density and fluffiness. Verdict: love it, a no-brainer with a successful shape. Costs 32 usd. This one is huge but very efficient, specially as a sculpting brush. 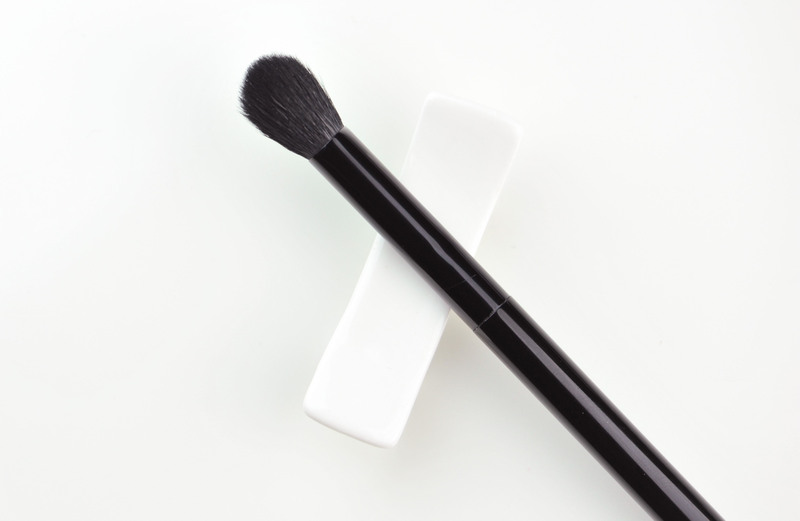 Can be a great blending brush if you are not too sensitive. I can use it but if I go too close to the inner corner or outside corner of the eye it doesn’t feel that pleasant at all. I will use it because it’s very efficient and I love big blending brushes but I do not recommend it if you have sensitive eyelids. I also think that the hair can differ considerably from one to another. When I look at pictures on other blogs I think that mine here seems to be a bit rougher. The Trish below is softer, the Bobbi Brown is rougher. The Paula Dorf blender feels a bit softer than the Edward Bess. The Chikuhodo GSN 07 is much softer in comparison, the Evgeny even softer. My favorite shape of blender – the one I find to really be working the best- is the GSN-07 and the Trish here, I prefer the Chikuhodo because it’s softer. The PD blender has a domed shape, densely packed but will not pack too much product. I can perfectly well apply contour on the sides of the nose and on the cheekbones. 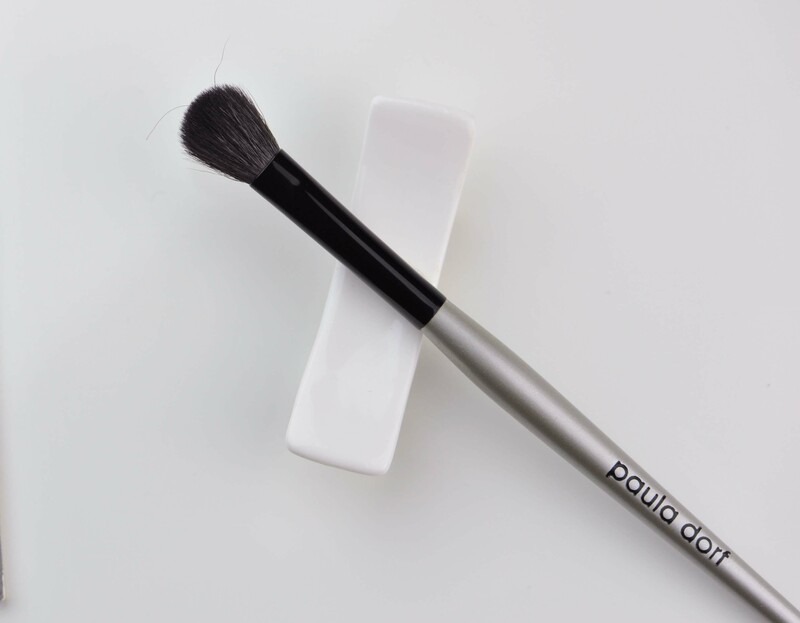 Verdict : Due to its splayed out bristles, this Paula Dorf blender is a truly fantastic sculpting brush, for that precise purpose it’s simply the fastest and easiest way to go. Costs 28 usd. “Perfect” is not exactly what I would call it. When I took it out of its packaging, I saw some hair shedding, I gently pulled them out, then saw more shedding… did the same operation, then saw more … WTH ? wait a second… It’s not shedding bristles, it’s just bad-long bristles that are still attached, 2 long ones, since I was pulling gently I thought they were coming out, they weren’t. This brush looks like a bug with antennas. I will have to cut them, there is no other choice, they are too long to deal with it as it is. Anyway let’s just ignore them (if you can). The shape of the brush is interesting but not as interesting as her famous Sheer Crease brush. The problem with this “perfect” kof kof eyeshadow brush is that it’s not very pleasant to use in terms of softness, but it is a nice brush to apply shadow in or above the crease (not precisely), to blend, it’s fantastic for beginners, won’t pack too much product. It is also a nice balance between density and firmness. She confirms with every brush that the density vs firmness equation, she got it right. I prefer the Mac 217 because it also delivers precision on top of what the Paula Dorf offers, the softness, firmness and density is nearly similar. The Hakuhodo J5523 is a softer version of these 2, and cheaper. The hair is of similar quality than the Trish McEvoy but the Trish allows more precision. Verdict: not that well bundled for its price… cheaper options are even more interesting. This is something you will not find online unless you are very lucky. It’s her most successful brush and it’s really good. It’s firm and dense yet does not leave a streaky application, similar brushes are the Nars 12 (the Nars has similar softness, just very slightly more flexible), or the Tom Ford (TF is softer, slightly firmer, you can’t barely tell the difference), the Sephora Rounded Crease 13 (which is just a little bit less dense but not much difference), the Trish McEvoy (is less soft, smaller, pointier). Rumor has it that the Nars 13 (and 12) may not be released with the upcoming Nars brush collection but this is to be verified. 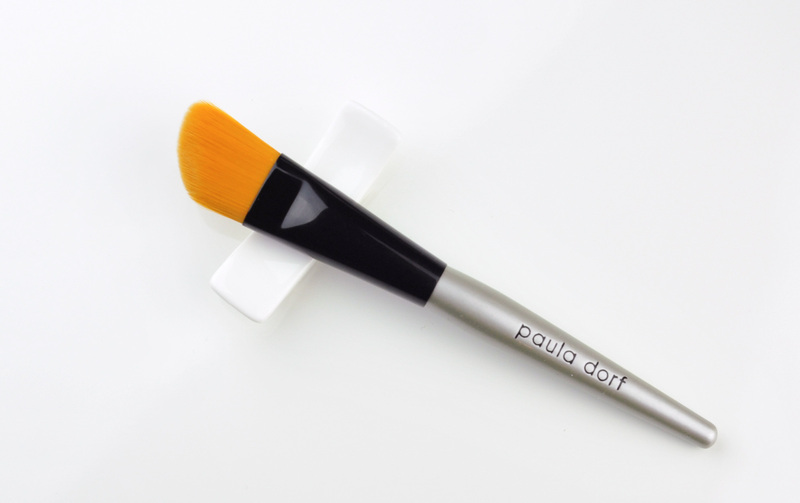 It’s not really a very soft brush but I do love it, the use is very easy, same as with the Paula Dorf Sheer Crease. 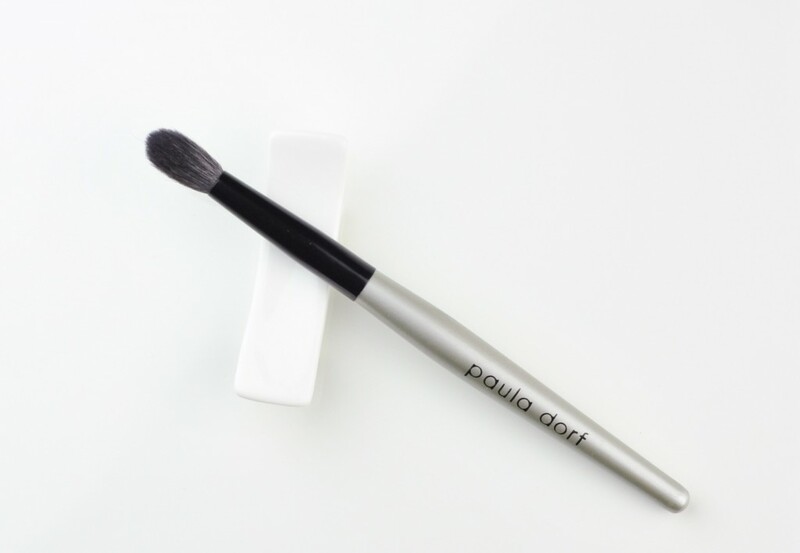 Why is the Paula Dorf Sheer crease brush no longer in stock ? One of the reasons could be because it’s so good or did she discontinued it ? 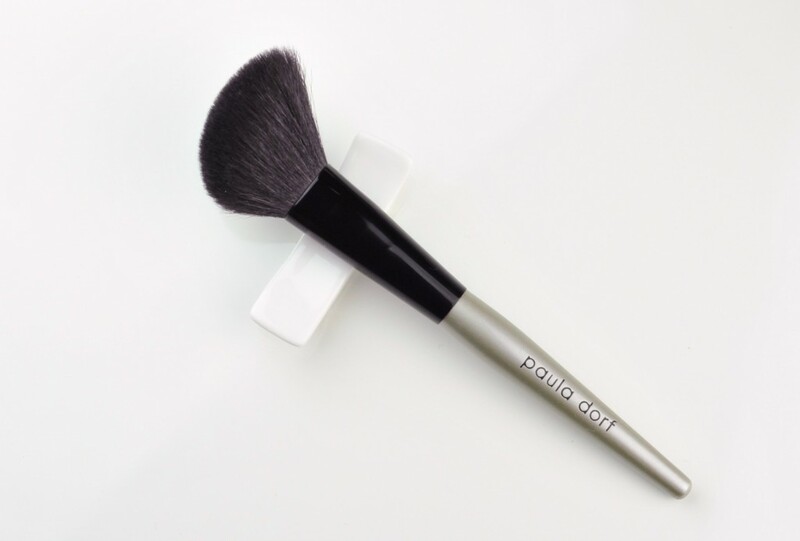 I contacted Paula Dorf customer services about this brush since I had a few friends interested but I did not receive a reply. I recently gave my Sheer Crease to a makeup artist friend, then I tried to find another one for me. Surprisingly I succeeded and found one in a blog sale. It arrived today, got washed earlier and it’s already dry to figure on the pics here. I used a paper towel self made guard to keep it in shape during drying and as you can see it’s nice and tapered, has just one or two hairs a bit longer but I will cut them. Other than that, it’s really a great brush. Verdict: very efficient, the application is totally fool-proof. 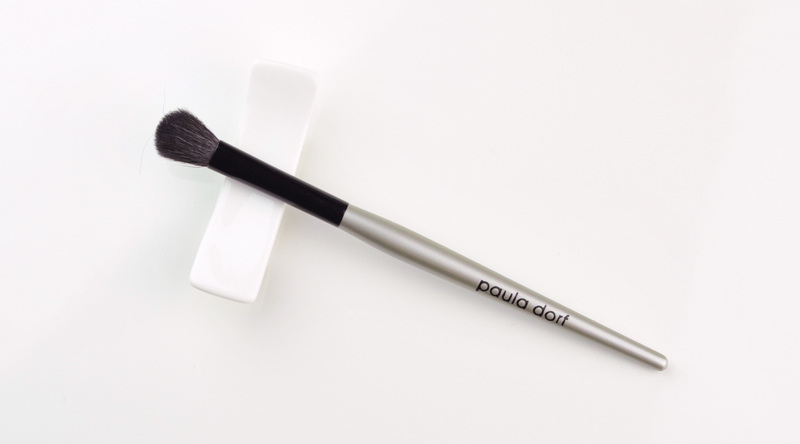 This one is much softer than the other two Paula Dorf eyeshadow brushes shown before. Shall we give them the same macro treatment as we did to the Kashoen ? I took some pics with the macro lens, hopefully you can have a better view of the hair. This cheek brush hair is thicker than other squirrel brushes but it’s soft enough, really nice clever shape. This one could be softer… but fantastic sculpting brush. More little antennas… but nicely shaped and softer than the others! I also took pictures of the other brushes, just for you to see if there is a difference with the macro lens, hair looks pretty much similar. 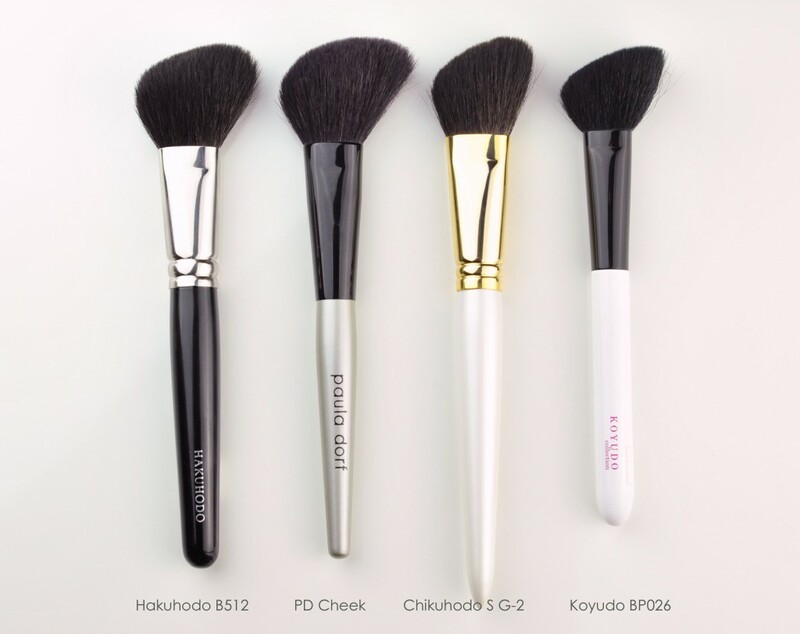 The Chikuhodo GSN-07 is softer and much more nicely bundled but the big plus with the Paula Dorf blender is the fluffier sides, with contouring products the Paula Dorf will be more appropriate. The Edward Bess … nothing much to say about it, I don’t reach for it recently, could be a lot softer, it has a great potential as a blender for those of you who can use it. I can, but just on rare occasions, I have days that are ok and days where my skin is way too sensitive for an Edward Bess brush experience. 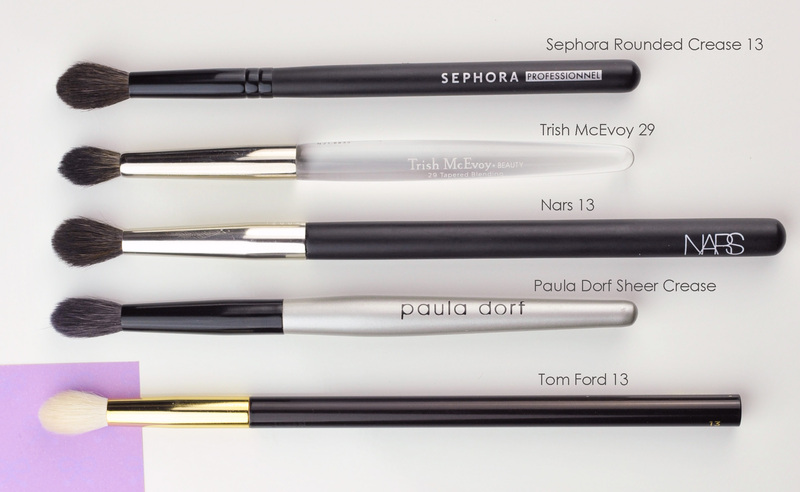 I recommend you to watch a few videos on Paula Dorf brushes, Lisa‘s for example. The design of the brushes is innovative, I just wished the hair quality was more consistent, it’s difficult to say they are soft enough for everybody because the difference in quality within the same brush can be a blocking point if you have delicate skin. Paula Dorf found the perfect balance between firmness and density but I think the handles and hair could be of better quality to deserve their price tag. Although I prefer softer brushes, buying these brushes is not “going back”, it’s just taking a different way. 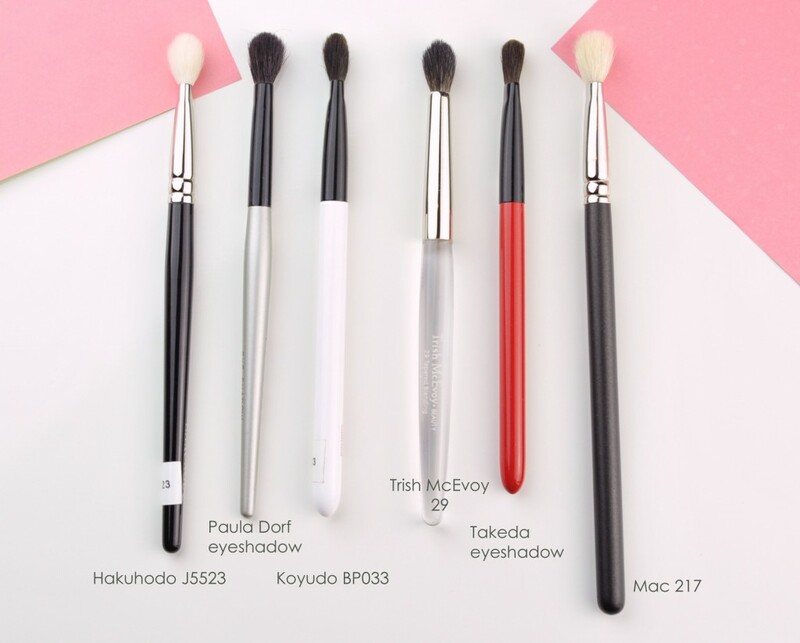 Paula Dorf brushes was last modified: September 22nd, 2014 by Sonia G.
Your review is, as always, delightful, comprehensive, and wonderful – and I agree with you completely! I love her Cheek Brush very much, but the others, not so much. Great review – spot on! Hi Sonia, my husband and son discuss cars every night at dinner so I totally understand your bf’s obsession! Your car analogy is spot on. I have the PD crease brush and while it works well, it is not pretty — plain gray handle and large black print makes it look so utilitarian. I want my makeup application process to be fun and glamourous! Well, the upshot is that it hardly gets used except for backup. At this moment the Paula Dorf crease gets used a lot because I am experimenting with hard to pick textures, that is its strength. You should be relieved that he can talk to your son about that topic 🙂 on the other hand, when I am caught in a men conversation I do impress them with my unwitting knowledge! Oh, that’s good to know! I’m anxious to hear more after you finish experimenting. 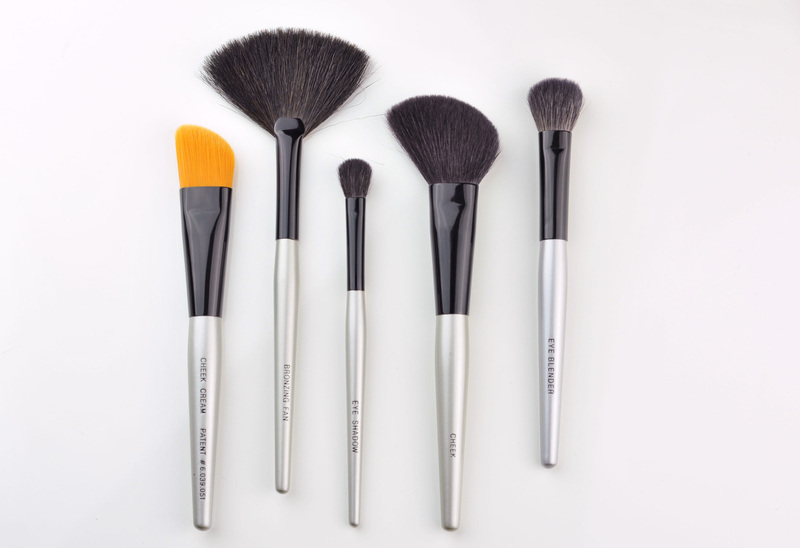 Utilitarian is a great word to describe the PD brushes. They are obviously made simply to perform. I feel sorry for these plain little things in my collection & I think that they most certainly deserve a make-over!! 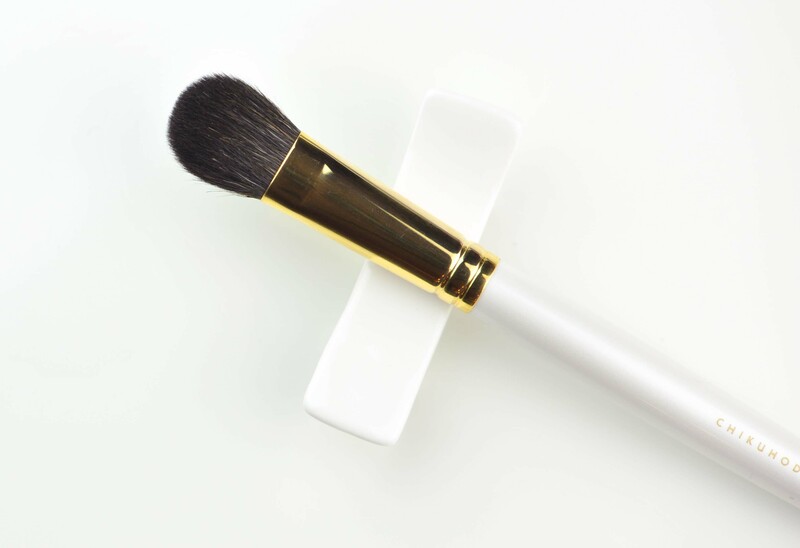 The new RMK Face color brush, which is much prettier to look at, is VERY similar in shape to the PD, but it’s made of goat, not squirrel. 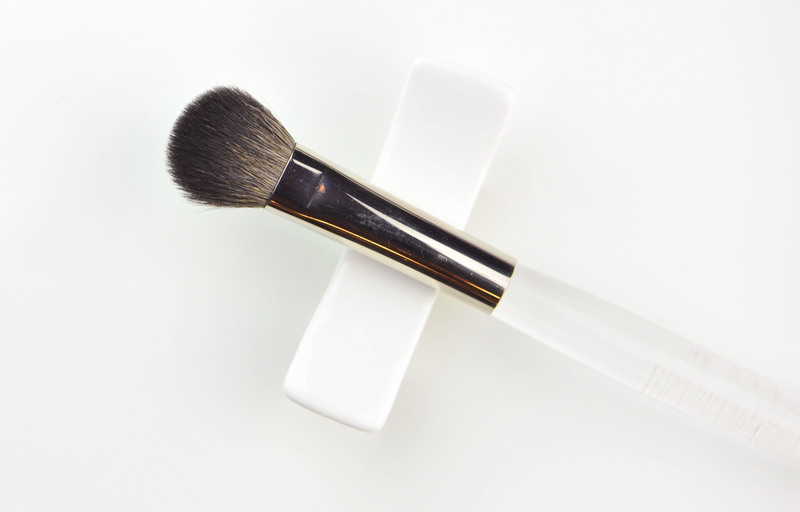 It’s joined the WG # 2 brush as a top favourite for applying cream blush. As brushes with angled heads generally aren’t as soft as those with rounded heads so you might find it too rough. I don’t think my skin is a delicate as yours. Yes, it truly was difficult to leave, putting on my makeup was extra fun that night, in fact I did the latest glittery eye, purple party look from Lisa Eldridge and got lots of compliments, even my almost 3 year old daughter said, “I like your makeup, Mama”. How sweet was that? Anyway, yes I’m so glad I got the White Mushroom, the length and density are perfect for getting the sheerest layer of finishing powder so my face doesn’t look overdone. The only bad thing is that it makes me sad to see it get dirty, but I don’t want to risk waging it more than once a week. 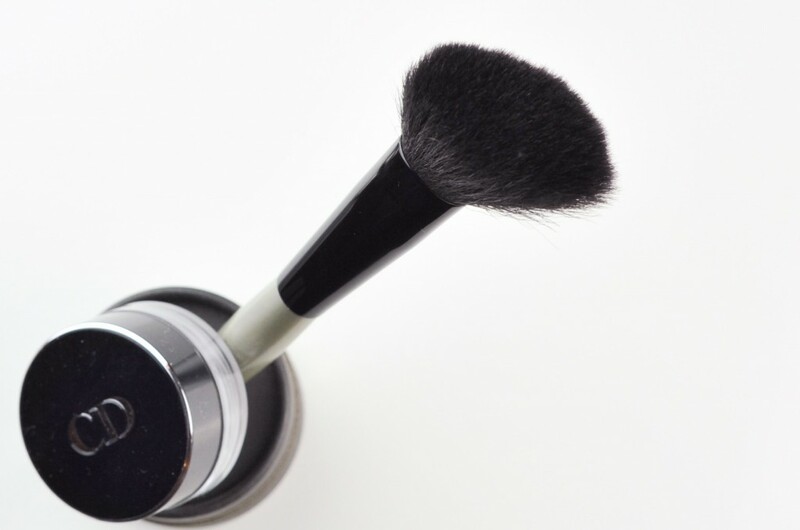 I wash my foundation brushes after each use, but less on brushes used for powder. Thank goodness Sonia and so many others left such high reviews which encouraged me to get this. COOL ! I can imagine 😀 so sweet your daughter telling you that!!! <3 you must have felt high !!! Glad you love it, I spend most of the time contemplating it rather than using it but it's mandatory to enjoy it ! don't worry Carlyn, if Buggsie cannot find your comment we will move it 😉 and if you prefer we can do it when you want! absolutely not a problem! Oh, and I got the white Fu-Pa 14 yesterday – after the poor thing spent about SIX weeks waiting in customs!! 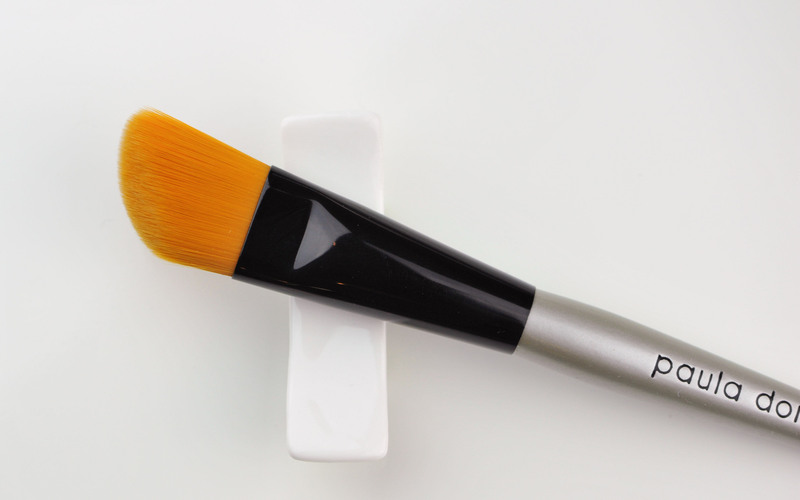 It’s a beautiful, wonderfully soft brush, but it’s not of the same density as the black handled one which I LOVE becasue it’s so brilliant ( soft & firm ) for buffing in powder. Oh really, Buggsiebee? I ordered the white one because it’s LE and received it 6 days after placing the order ( I placed the order on a Friday, that’s why there was a delay), and loved it so much that I had to get the black one too and so I placed an order yesterday. I wonder if I will notice a difference in density because the white one is already so dense. I was notified that it has already shipped with the White Mushroom and should be here early Friday. I live in the US so it will be delivered to my house without all those customs nonsense. I feel so terrible for all of you who have to wait on customs to clear your purchases and then you have to pay taxes on top of that. So sorry you had to wait so long. I’ll let you know if I feel a difference between the white and black Fu-pa14 brushes. I’d love to hear your feedback Carlyn. Thanks! I bought my black handeld one back when they were first released so I’d be interested to know if the brush density of the Fu Pa 14 has perhaps been modified in gerneral since then or whether the white one is in fact less dense than the black. I will most certainly get good use out of both, but I do prefer the density of the black one. So I got my black Koyudo Fu-pa14 and White Mushroom only 3 days after placing the order, omg so fast when the brushes are in stock. Anyway, immediately washed them and used the Fu-pa14 today. It feels exactly like my white one does, no difference in density or softness that I can detect. So happy to have both colors and the White Mushroom will be used tonight, I’m going to a dinner party. I can’t wait to use it, at the same time I don’t want to get it dirty!? It’s the softest goat hair, just like the BP016, just bigger and denser. I don’t think that I’ve ever recieved a parcel from cd Japan which took less than 4 weeks!! Hmmmm…from your feedback on the two FuPas it would appear that the FuPa -14 has been changed in general then to make it less dense. I hope you still made it to the dinner party after you started stroking your face with the white mushroom?? It’s so relaxing, it can put me off to sleep! so.. how was your party ? did you manage to leave ?? *stroke stroke stroke* => did the white mushroom let you leave ? The quality factor with the PD is a bit of an issue, they aren’t that cheap and should be slightly better. It drove me crazy, as your Rae Morris Brushes do to you. I have her eyebrushes, and I particularly like the eye blender, the smoke lid, and the sheer crease brush. 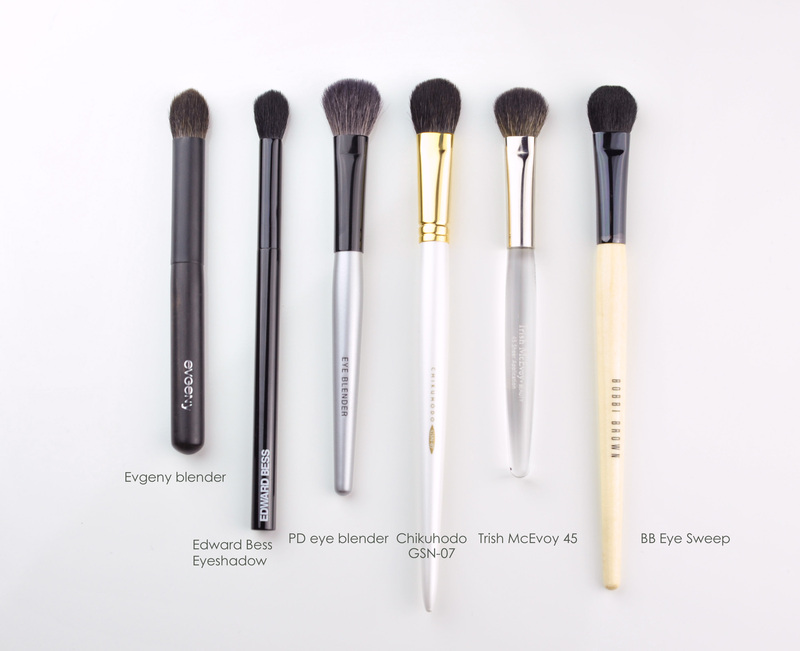 Also the PD eyeblender is among my favourite brushes because it has the perfect size, form, softness, and density to blend eyeshadow, flick off powder in smaller places and contour with. I have not found a dupe in any other brand. There may be softer brushes out there (I don’t find her eye brushes rough at all though), but I think ms. Dorf has made quite an accomplishment in designing these for great performance. 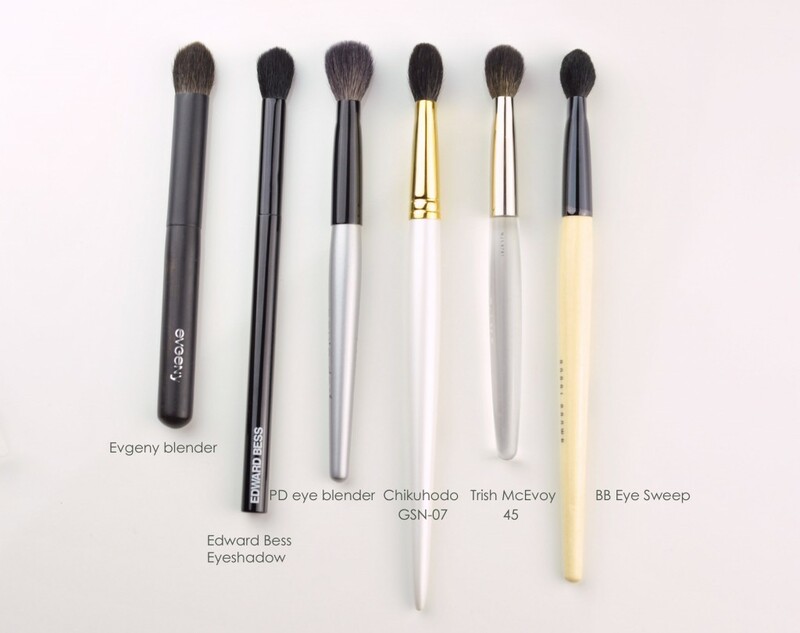 My very first brush was a MAC eyeshadow brush, then I got the Paula Dorf powder brush, the cheek brush, the sheer crease brush, the eyeshadow brush, the eyeshadow blender brush, the eyeliner brush and the foundation brush. Of all the natural hair ones, the eyeshadow brush was the only one that is a bit scratchy. 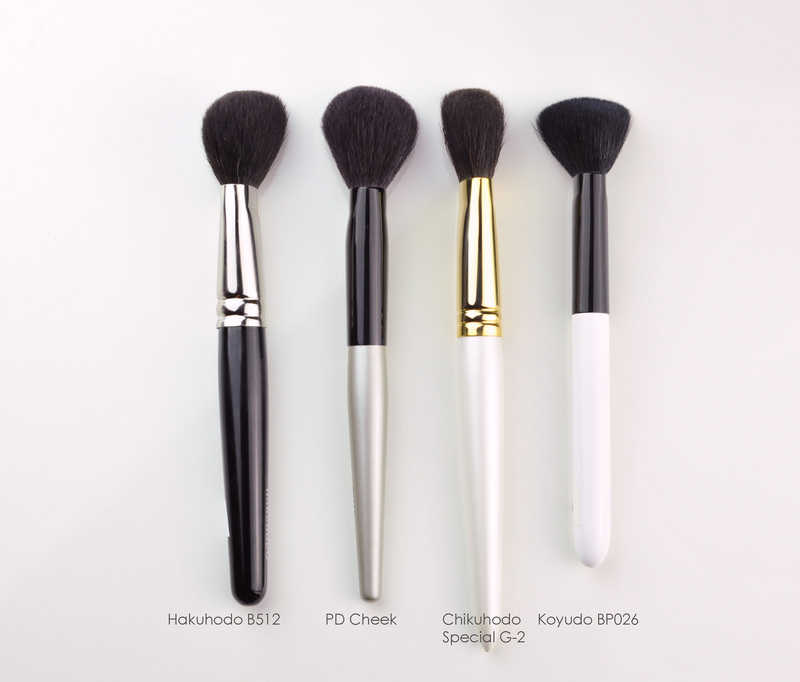 My other ones are very soft, not as soft as my Hakuhodo squirrel brushes, but very good nonetheless. They do have a soft spot in my heart as they were my first brushes and I do feel that they do a good job. I’ve since ventured into the world of Shu Uemura, Hakuhodo and Koyudo and now awaiting some brushes from Chikuhodo, another Koyudo BP014 and the white mushroom. I’m waiting for SUQQU to restock and plan on getting the face brush, cheek brush and eyeshadow brush M. Also will be ordering the Tom Ford cheek brush and another small order from Hakuhodo and then I pray I will be satisfied for a long, long time. That is until Tenseido becomes more accessible. You have planned nice purchases there! let me know your preferences and how you are liking them! Me encantó. Tengo en wish list además de la de paula dorf y Evgeny crease, la de Edward Bess. Se ven tan suaves y precisas, si sabes de alguna web donde se puedan encontrar sobre todo la de evgeny, pásame la dirección. 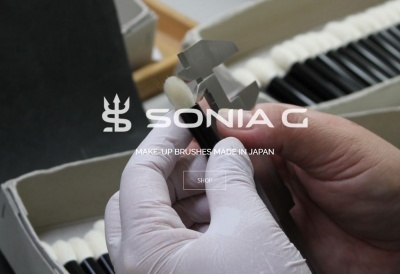 Hi Sonia, I wonder if you could help me with comparing the PD Sheer Crease brush with the Hakuhodo J142? I found photos online and it looks like the J142 has a slightly smaller head, but I’d like to know how they differ performance-wise. Thanks so much for your help and for this wonderful website!